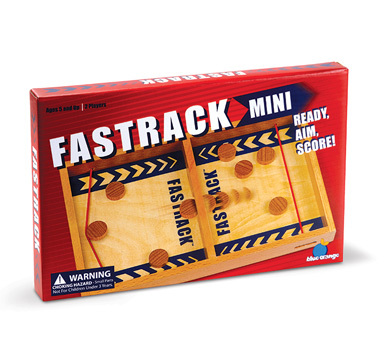 This mini-version takes all of the fun of the original rapid-action shooting game, and packs it into a smaller design. The same high-quality materials and exciting game play are now perfect for on-the-go entertainment! 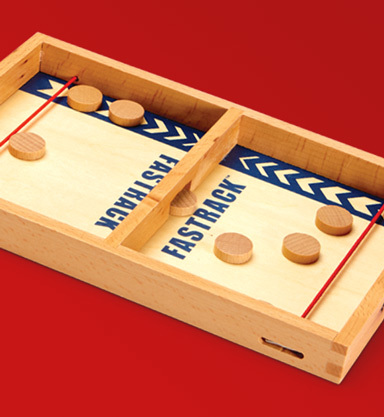 Each side starts with 4 wooden disks and then players race to get all 8 disks on their opponent’s side by shooting them through the slot opening. Skill and luck mix in this action-packed game!